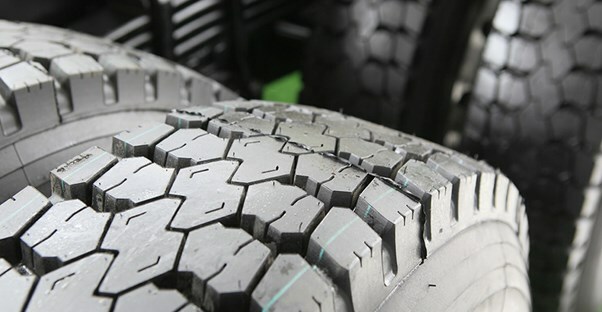 Purchasing new truck tires can be difficult with hundreds of different types on the market to choose from, but there are some that stand out among the rest. Ensure that you get the tire with the best life and one that fits your lifestyle. If you drive a mid-size/compact truck, you won’t go wrong if you pick one of these tires. General Tire’s Grabber series has been one of the top tires available for purchase due to its design, especially since the Grabber is perfect for off-roading. You can read our article on the best tires for Jeeps, to learn why the Grabber is perfect for off-roading. For lighter trucks, General Tire’s Grabber AT 2 has spectacular ratings if you want to use it on mud or sand. You’ll be happy to know that no matter where your worksite is, your truck won’t get stuck. Ultimately, this tire is also ideal for daily use on the road, especially in the rain due to the amount of traction provided. BFGoodrich produces all around great tires, but the All-Terrain T/A KO stands out among the rest. Just like the tire name says, the T/A KO is perfect for every terrain you can come across. It doesn’t matter if it’s mud, sand, ice, water, or a dry road, BFGoodrich ensures that you will have optimum control of your truck. One of the greatest features of the All-Terrain T/A KO is the fact that it has a long lifespan. You’ll spend less time getting new tires, and that equates to more money in your pocket. If anything happens to your tire, BFGoodrich also includes a limited warranty for six years. Goodyear Silent Armor is one of the quietest tires you’ll come across while shopping for tires that fit your mid-size/compact truck. This feature can be incredibly important for people who desire a quiet cabin for family trips or a silent ride to work. On top of being silent, it’s also incredibly great as a winter tire. Ice and snow don’t stand a chance thanks to the two main grooves. This forces traction as you drive through snow, water, and whatever else moves in between the grooves, and allows your tire access to the ground. Michelin Defender LTX M/S is another fantastic all-season tire that does exceptionally well in rainy or snowy conditions. Extreme weather can affect the life of a tire drastically, but Michelin’s tire lasts 10% longer in extreme conditions. Plus, this tire can even increase your gas mileage. That means more money in your pocket and less in the tank. Michelin took into consideration the use of this tire with the introduction of Evertread. Evertread ensures increased durability even when towing and in high-torque situations and increases the comfort of your ride, making your cabin quiet and smooth. Finally, this tire comes with an extremely long limited warranty of 70,000 miles or six years.